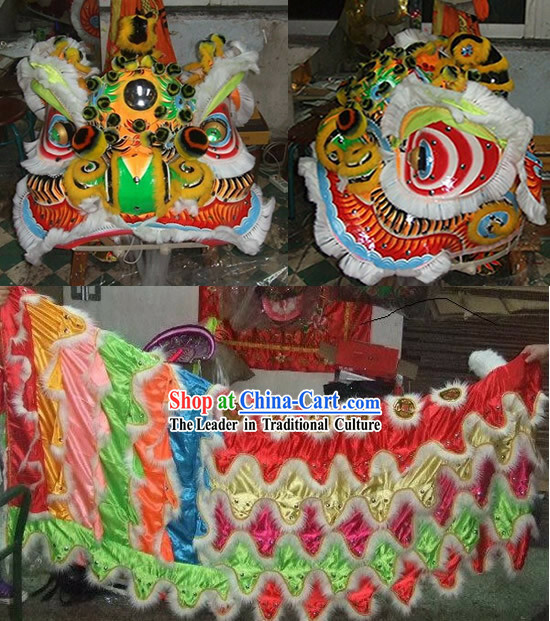 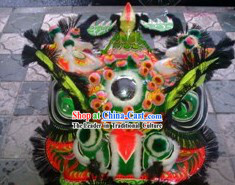 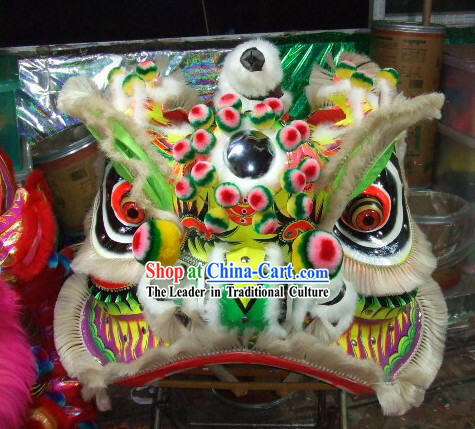 Dimension of Top handmade lion head: 30"x29"x29"
Dimension of the lion tail: 98"x57"
The Liu Bei (Cantonese: Lau Pei) lion is the eldest of the three brothers and has a yellow (actually imperial yellow as he became the first emperor of the Shu-Han Kingdom) based face with white beard and fur (to denote his wisdom). 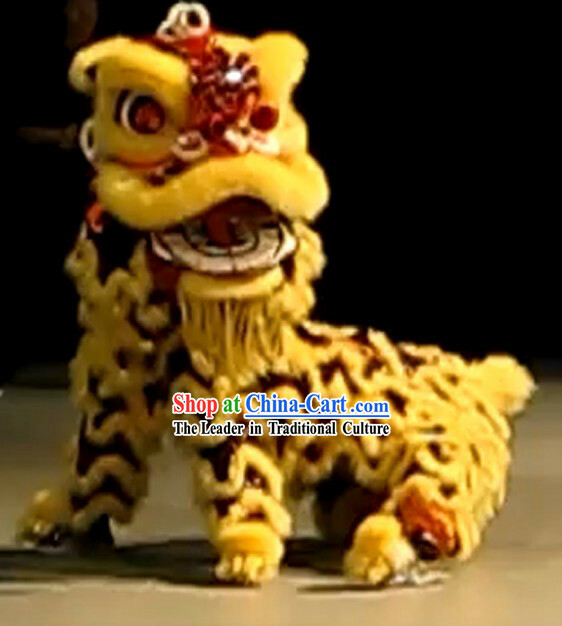 It sports a multi coloured tail (white underside) with black as one of them which encompasses the colors of the five elements, as it was believed that being the Emperor, he had the blessings of the heavens and thus control of the five elements. 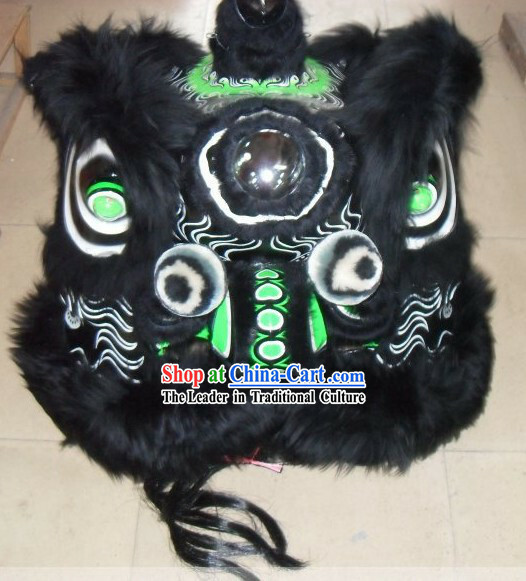 There are three coins on the collar. 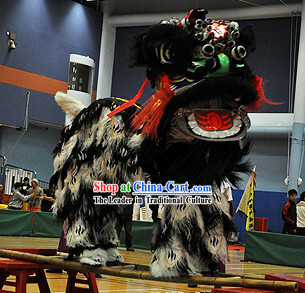 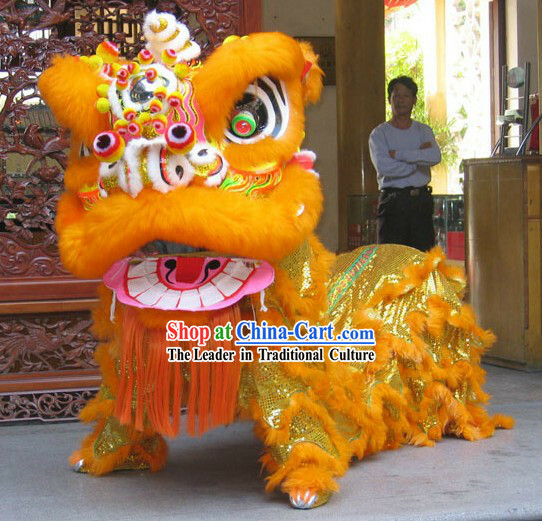 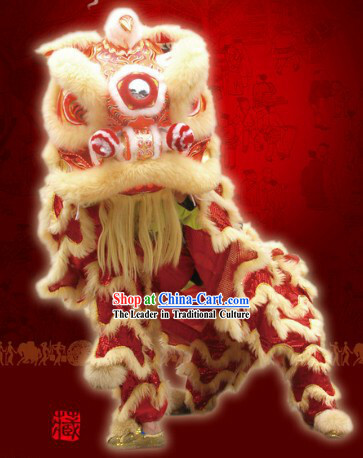 This lion is used by schools with an established "Sifu" (Martial art master) or organization and is known Rui shih (Shui Shi) or The Auspicious Lion. 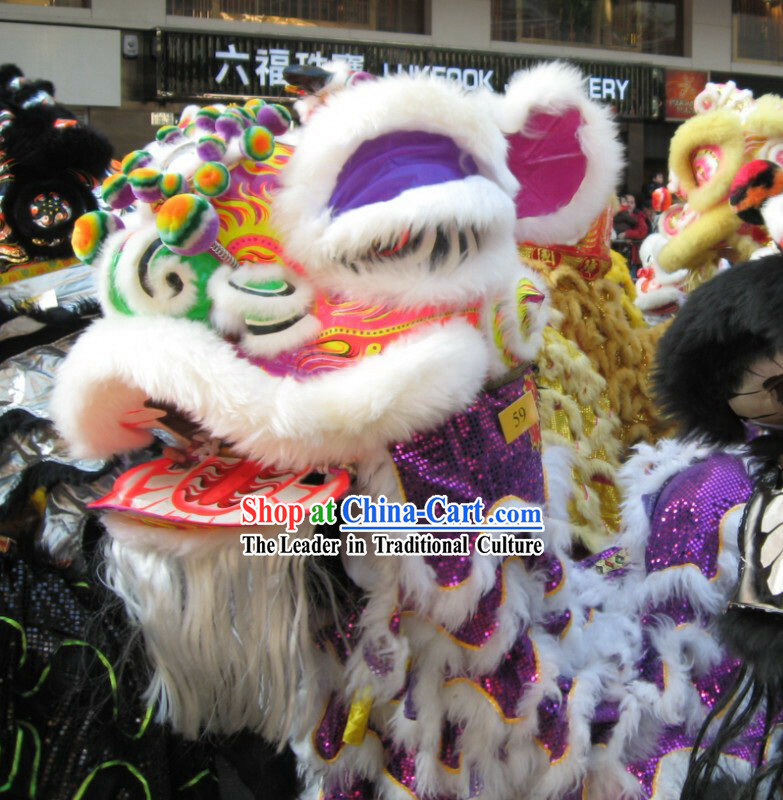 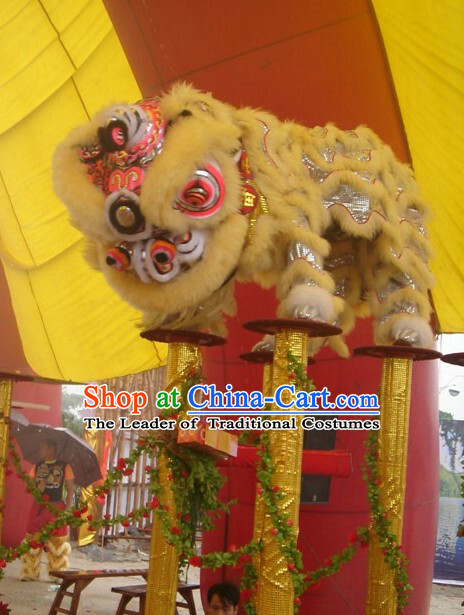 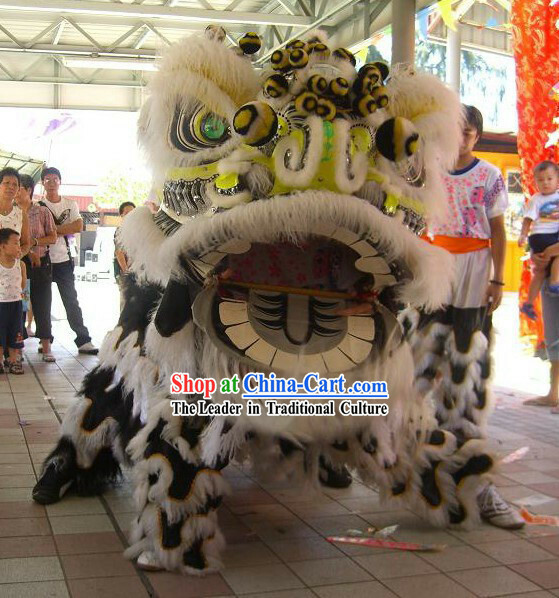 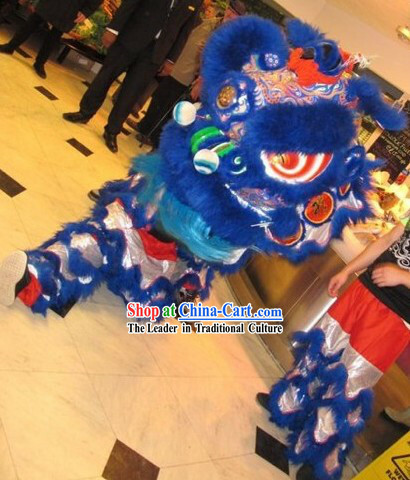 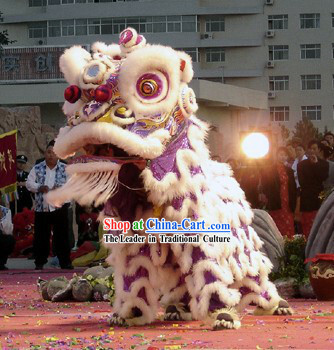 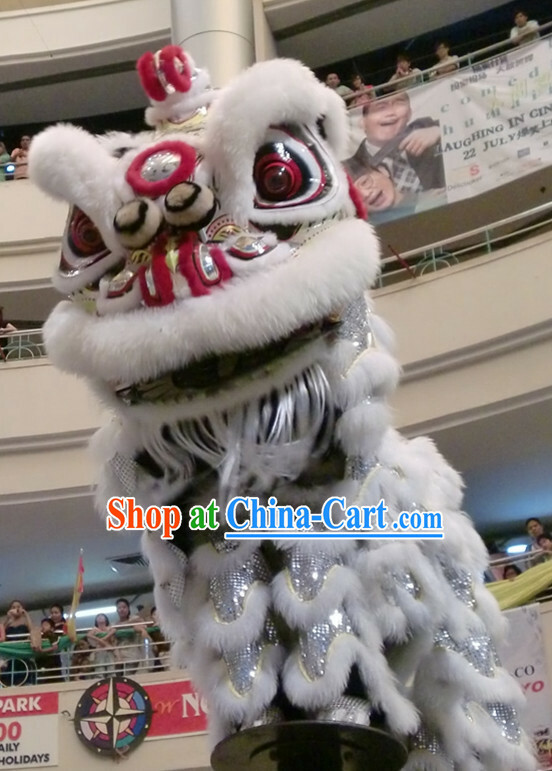 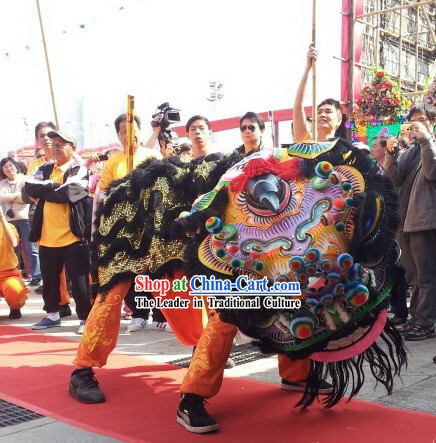 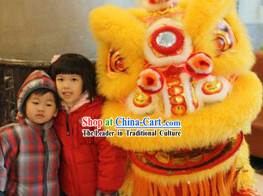 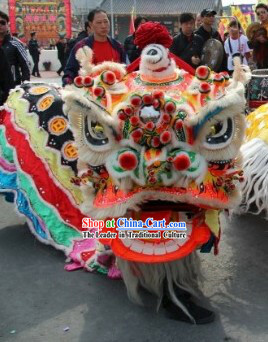 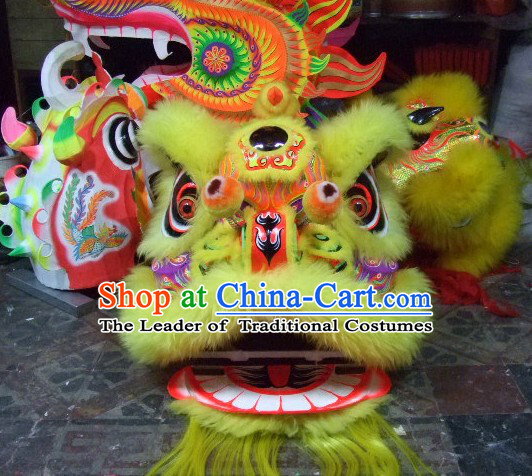 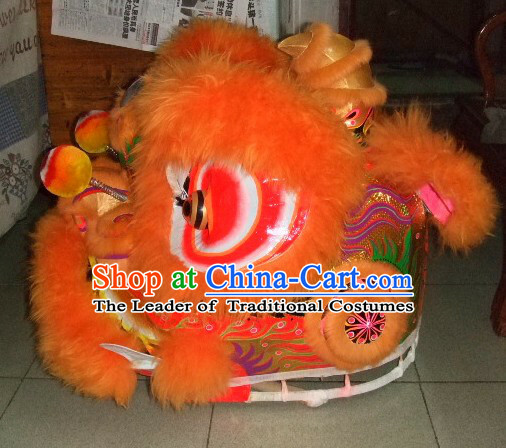 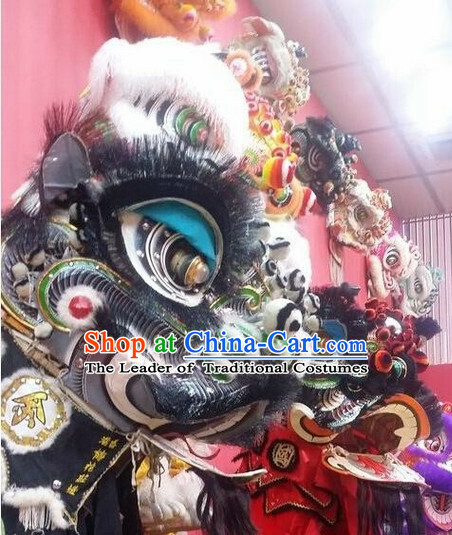 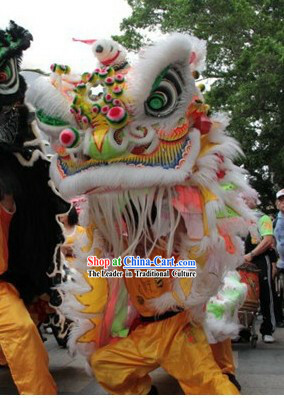 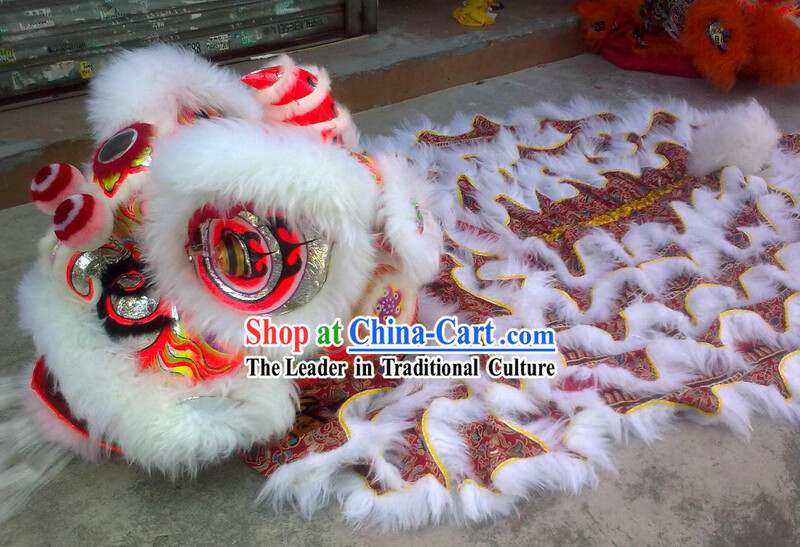 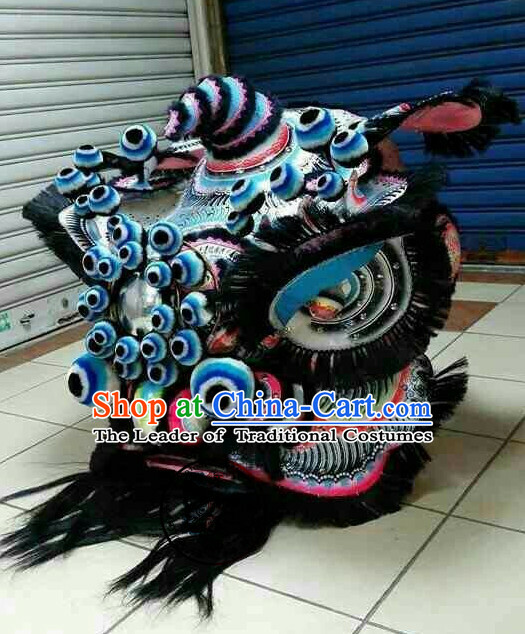 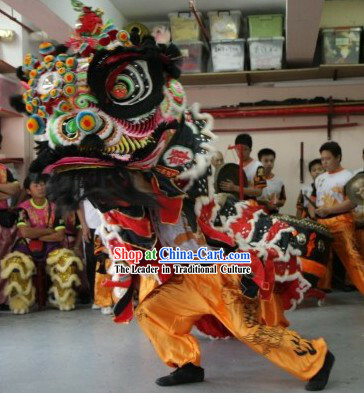 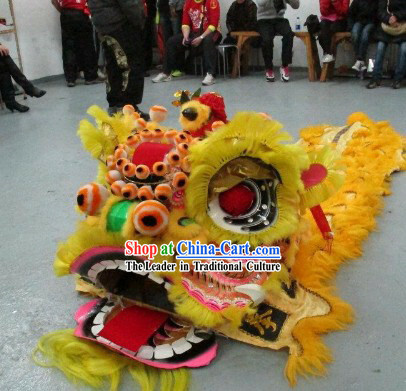 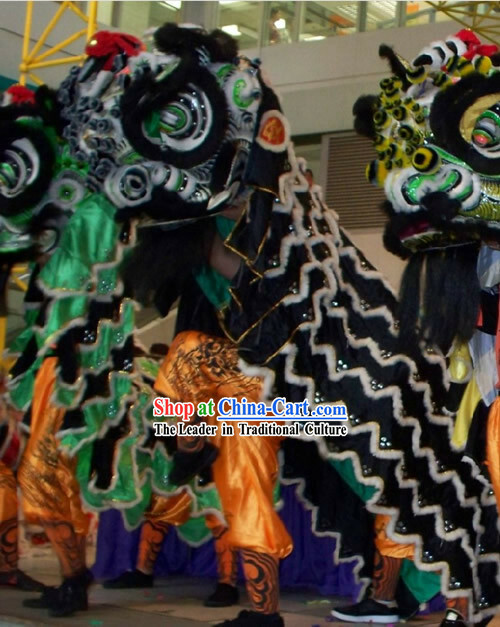 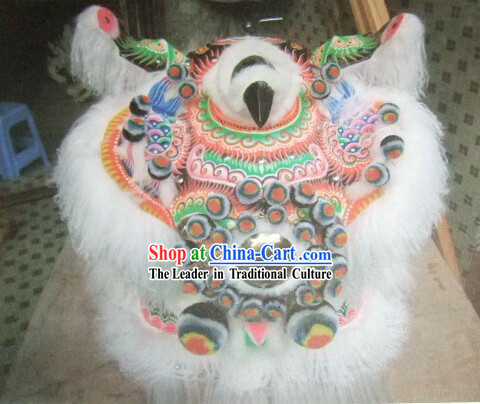 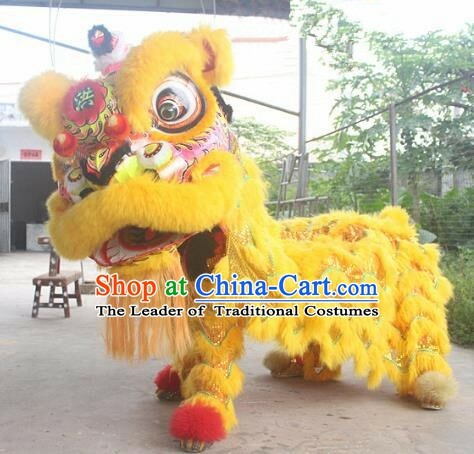 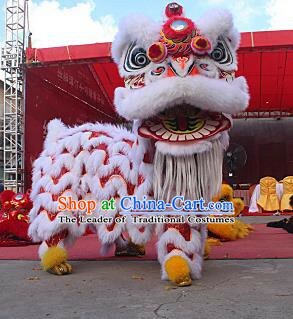 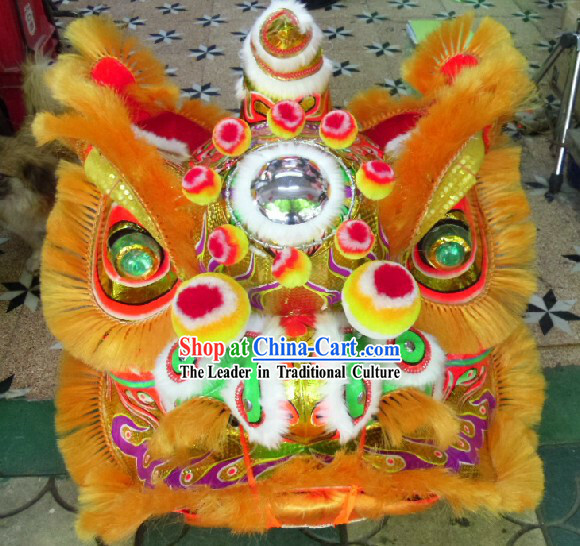 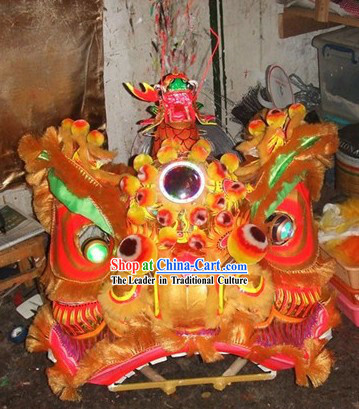 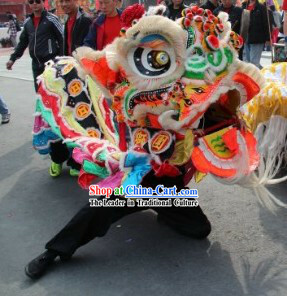 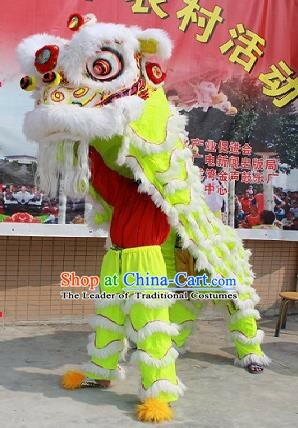 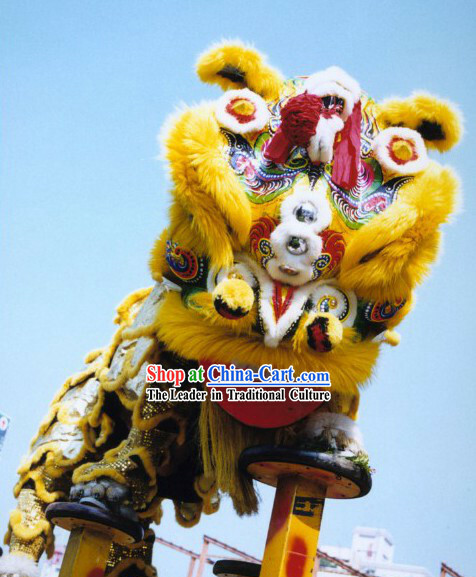 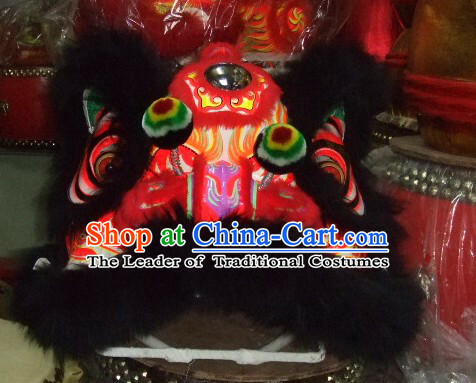 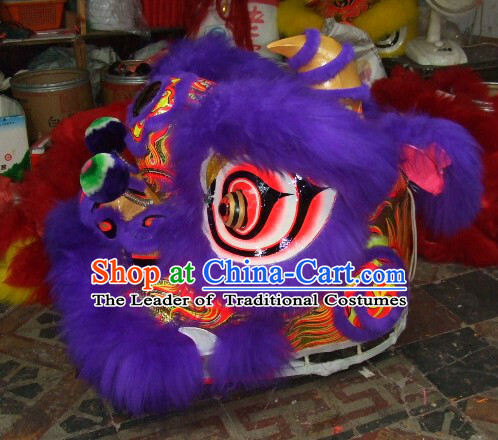 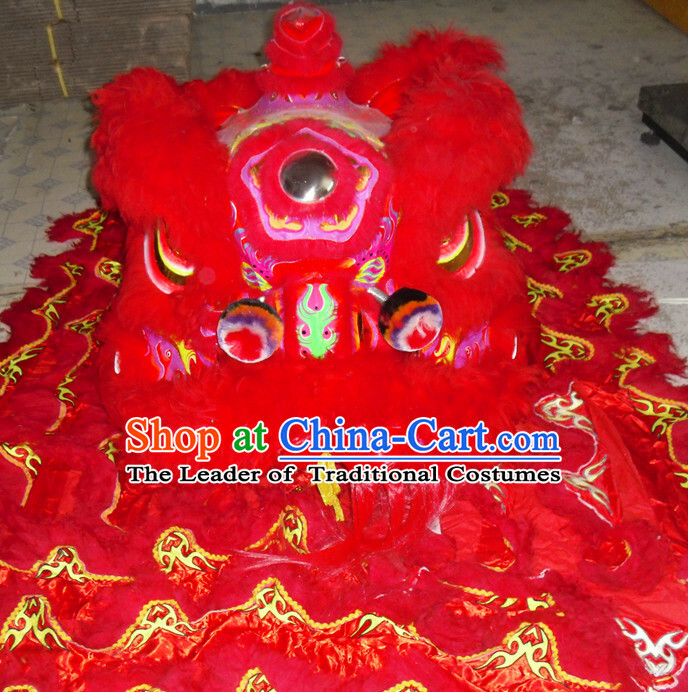 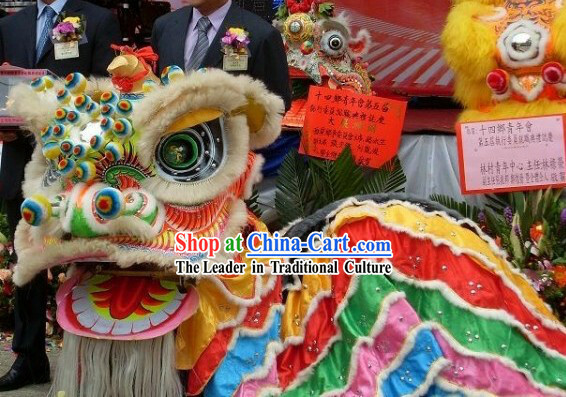 Handicraft: This long history workshop has provided worldwide artists and dancingrs with top lion and dragon dancing costumes for over 120 years. 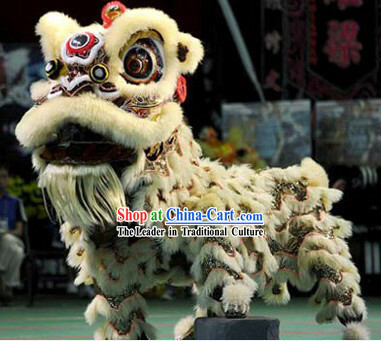 This lion is Handmade by the finest traditional craftsmen of this workshop. 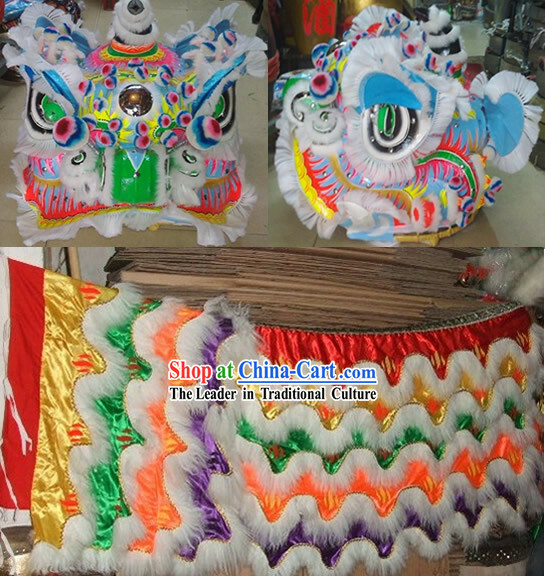 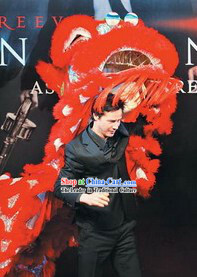 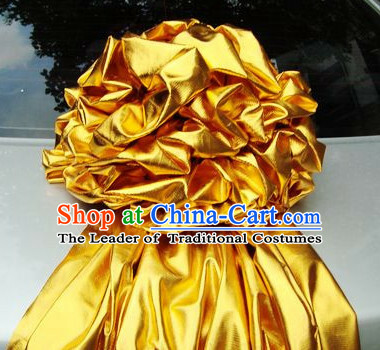 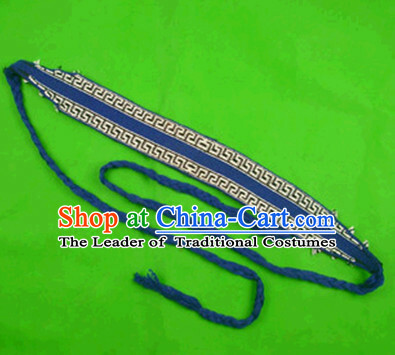 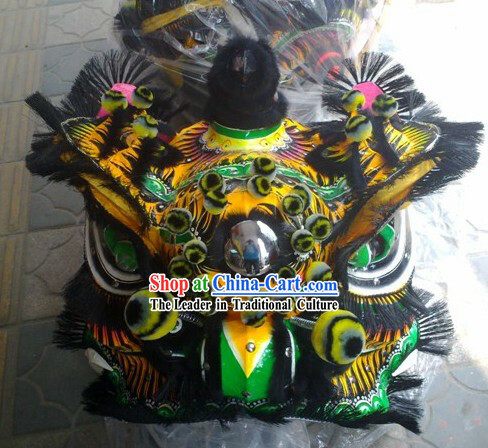 Be Customized with Your Own Logo Design Free: If you wish to let our top traditional craftsmen Tailor-madeize your name or several words on the lion head and the lion collar, feel free to leave us a note on the order form. 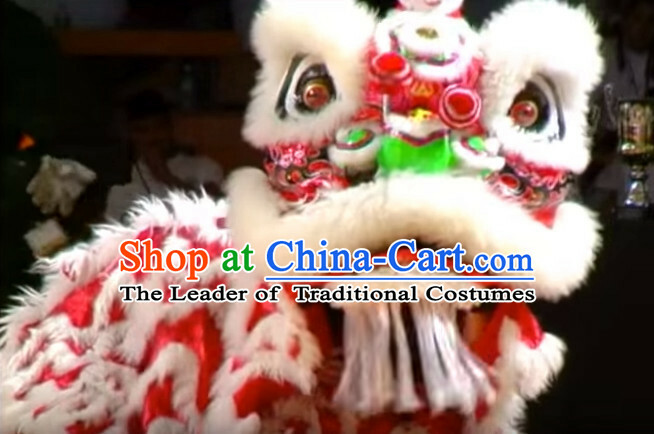 This Tailor-made-made service is free!